Cloud computing is still at a nascent stage in Australia and there is a range of different steps that need to be taken before it becomes widely used by businesses. 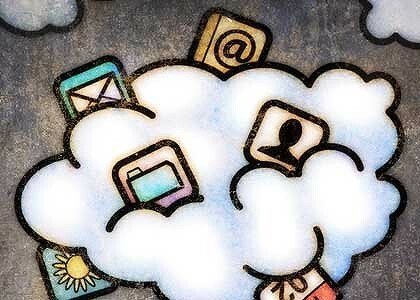 Cloud computing is set to revolutionise IT for corporates. It means that in the future companies won't need to fork out for massively expensive, customised, in-house IT hardware and software. Instead companies will use a pay-as-you-go model to access cutting edge business applications that will be deployed, hosted, maintained and managed externally “in the cloud''. The cloud will be provided by software and hardware companies and will reside in data centres. Here's an easy way to understand the business case behind cloud computing. At the moment businesses pay licences for many different software applications that are often not used on a regular basis. In a cloud computing model organisations would only pay for access to software and hardware located “in the cloud” when they are actually using these resources. They would be able to scale-up use of certain technologies when demand requires – but when they don't need to use the technology they won't have to pay for it. And when one business isn't using a particular technological resource, another business can use it, increasing the efficient use of technology right across the IT environment. Cloud computing is still at a nascent stage and there is a range of different steps that need to be taken before it becomes widely used by businesses. Sam Higgins is the research director of IT research house Longhaus, which has produced a detailed analysis of the development of cloud computing. He says there are various barriers that need to be crossed before cloud computing is widely embedded in organisations. One of these barriers is what Higgins calls “brand traction”. His research shows there is only one genuine cloud computing company in Australia, Rejila, which provided on-demand public cloud computing services. “If you're a large organisation, from a risk and compliance perspective small cloud companies like Rejila are unproven and at the moment big companies are disinclined to use their services. Big businesses are much more likely to go to a well-known service provider like IBM, which can provide private clouds but don't yet provide public cloud computing in its purest sense,” he says. Because of a dearth of infrastructure to support public cloud computing, and also due to security concerns about locating sensitive data in a public cloud, many organisations develop a “private cloud''. This is where service providers offer access to cloud functionality on a private basis. Companies can scale up or down their IT requirements on demand and share IT resources across the business. “There are not many vendors that can offer public cloud computing on-shore,” says Higgins. “A major service provider is yet to land a formal cloud computing data centre in Australia,” he adds. For example, Microsoft doesn't have a data centre for its cloud computing platform, Windows Azure, in Australia. This means businesses that access Windows Live, web-based software that includes email, photo-sharing and calendar functionality, do so by accessing data centres out of Europe, the US or Singapore. Similarly, IBM has data centres in China and the US, but not one in Australia. “But vendors recognise this is a barrier and do intend to build data centres in Australia in time,” Higgins says. Indeed, a related barrier is the locality of the data centres that house the servers and other hardware to provide true cloud computing. Because applications and services are provided over the internet in a cloud computing environment, in theory data centres should be able to be located anywhere. But this potentially exposes a domestic firm to the regulations and supervision of another jurisdiction. Laws are yet to be developed around the power of outside jurisdictions to monitor and access data and IT systems owned and accessed by a company that doesn't operate a registered business in that country. New licensing models also have to be developed so that businesses only pay when they use software or hardware located in the cloud. “At the moment traditional boxed software like Microsoft's Office has to be tied to a person and a machine. When purchased in that form it's not really cloud-ready,” explains Higgins, who says businesses should ask their software vendors if their applications could run “in the cloud”. The advent of “virtualisation'', a technology developed by VMware that breaks the bond between a software application and the machine to which it's tied, will see more widespread uptake of cloud computing. VMware managing director Paul Harapin says the technology means “information can easily be shifted from one computer to another without worrying whether the application will work.” VMware helps organisations build private clouds that can be used to test and develop software. In the future Harapin says many companies will likely keep core functionality in-house, but “will seek to access incremental capacity in peak periods for services such as banking applications from service providers in the public cloud”. In terms of the cost savings cloud computing delivers, Harapin says businesses will benefit from a 50 per cent reduction in the cost of IT hardware and a 70 per cent reduction in operational costs associated with IT systems compared with a typical non-virtualised platform. As to why cloud computing is only now starting to take off, Pat Breen, systems engineering manager from storage specialist NetApp, says the global economic crisis has been one reason. “In terms of the economics of IT, it's become expensive for customers to act as their own service integrators, bringing more of a focus onto the cost-saving benefits of cloud computing,” he says. Sean Casey, Intel's enterprise and government BDM, says for true operational efficiencies to be generated through cloud computing the entire organisation has to be involved. “You need to look beyond the IT department and focus on the bigger picture and include the finance, operations and facilities management areas of the business in the cloud computing discussion because that's when real savings will occur. Many departments now operate their own servers, but in a cloud computing environment servers can be centrally managed and shared across the globe, which is how efficiencies will be generated,” he says. Casey says Intel recently replaced 10 four-year-old servers with one new server as part of its cloud computing push. “Even in an economic downturn this delivers cost savings, not least of which is the energy saved by using one instead of 10 servers.” According to Casey this strategy has resulted in 78 per cent server utilisation. “In most industries this figure is 10 per cent,” Casey explains. As cloud computing will mean greater outsourcing of many internal IT functions, it begs the question whether this will mean the death of the in-house IT department. NetApp's Pat Breen says this is unlikely. He says: “there is already a trend toward selective sourcing” and that organisations will place some IT functions in a public cloud and some in a private, internal cloud. This should mean that organisations will still need an internal IT function. Although there are hurdles to be overcome before cloud computing becomes mainstream, Higgins says many “many of these are temporal barriers. They also don't affect private clouds, but businesses that use a private cloud are not really benefiting from the economies of scale public cloud computing delivers. At the moment people with a private cloud are getting the cloud experience without true cost reductions.” In time this should change, lowering the cost of cutting edge technologies for many businesses.